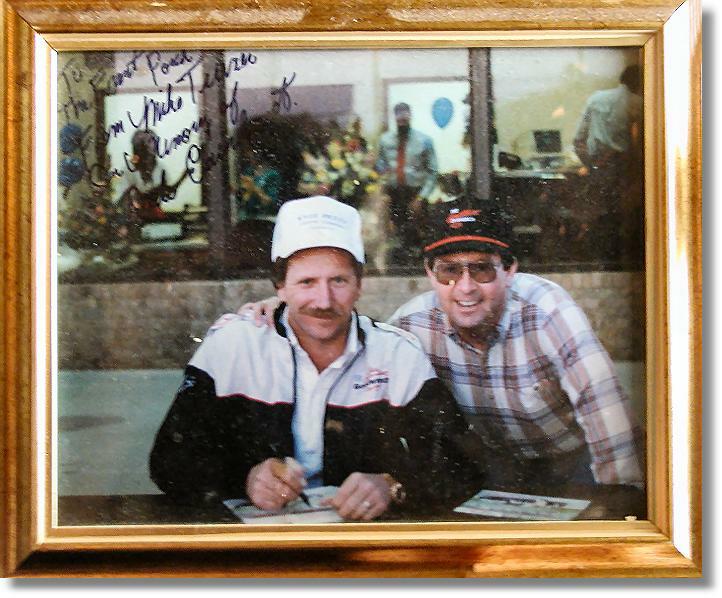 This photo of Mike Turner and and the late NASCAR legend Dale Earnhardt, Sr. is exhibited directly behind the cash register at The Front Porch Restaurant in Elizabethtown, NC (near White Lake, NC). It was donated to the restaurant by Mike. The Front Porch displays many photographs of celebrities, but none as prominently as this one.